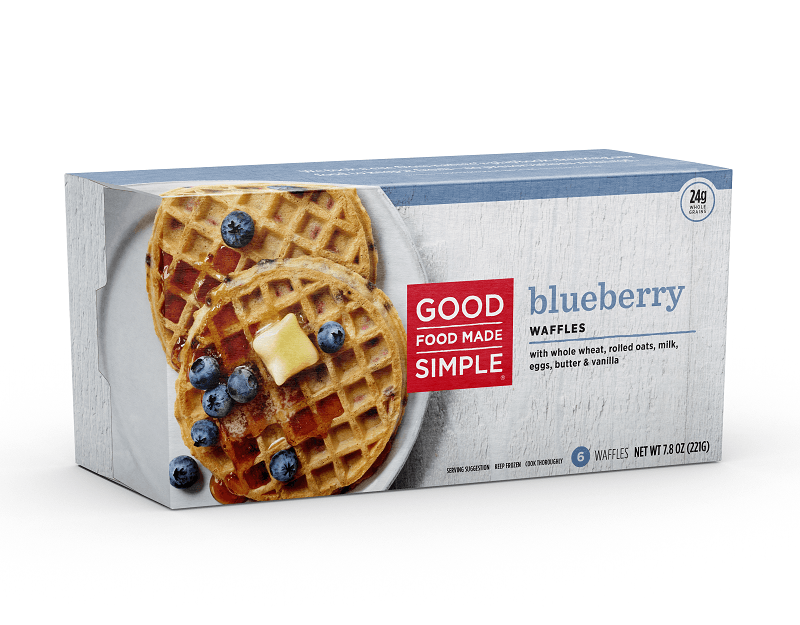 Our blueberry waffles use the same simple ingredients found in our buttermilk waffles, but with the addition of fresh blueberries for added natural sweetness. Grab one for an easy on the go breakfast or snack. NONFAT MILK, WHOLE WHEAT FLOUR, WATER, DRIED SWEETENED BLUEBERRIES (BLUEBERRIES, CANE SUGAR, SUNFLOWER OIL), BUTTER, ROLLED OATS, SUGAR, WHOLE EGGS, CANOLA OIL, BAKING POWDER, SALT, PURE VANILLA.